Members of the Tamaqua Elks Lodge No. 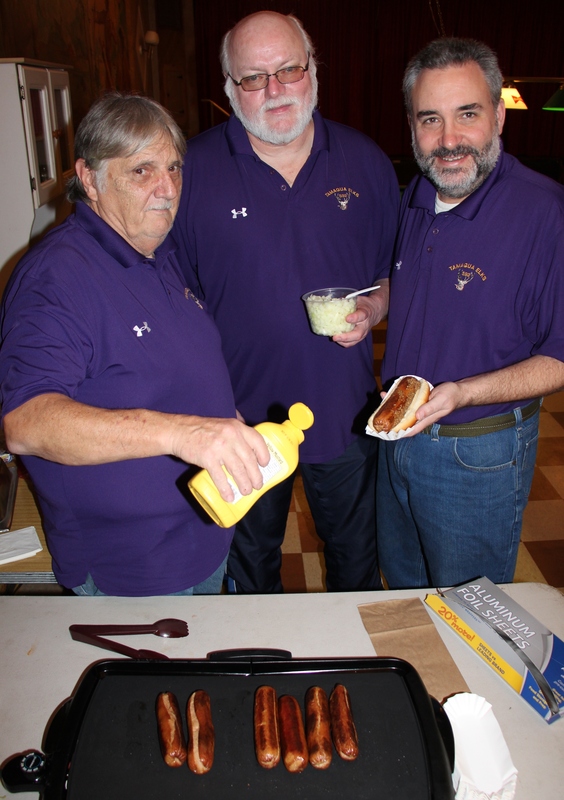 592 held a Texas Chili Dog fundraiser recently at their building, 201 West Broad Street. Pictured from left are William Fritzinger (Exalted Ruler), Thomas Wertman (trustee), and Scott Winterburn (Secretary). Their next event is a Spaghetti Dinner Fundraiser on Saturday, November 14, 2015 from 1 PM to 5 PM. Adults are $8.00, $5.00 for children 6-12 and under 6 free. Dine-in or take-out available. Click HERE for more information about the spaghetti dinner. Click HERE to view the lodge’s Facebook page.